Instead of electing to spend their week off relaxing on a beach, many Belmont students chose to serve the community during spring break. Whether through University Ministries, the Belmont Service Year House or an independent trip, these students made a difference in the lives of others. One student group traveled with Professor Scott Allen to Puerto Rico in conjunction with The Living Room, a mid-week bible study on campus. Partnering with Iglesia Bautista de Mesias in Juna Diaz, which has been building and repairing homes for 24 years, 11 students completed construction work on house by raising walls and finishing siding for a single mom and her two children. Another group will complete the interior of the house this week. Belmont’s Service Year House, a community of students who commit to living in Christian community and service, traveled to Austin, Texas to continue their service work on the week off. 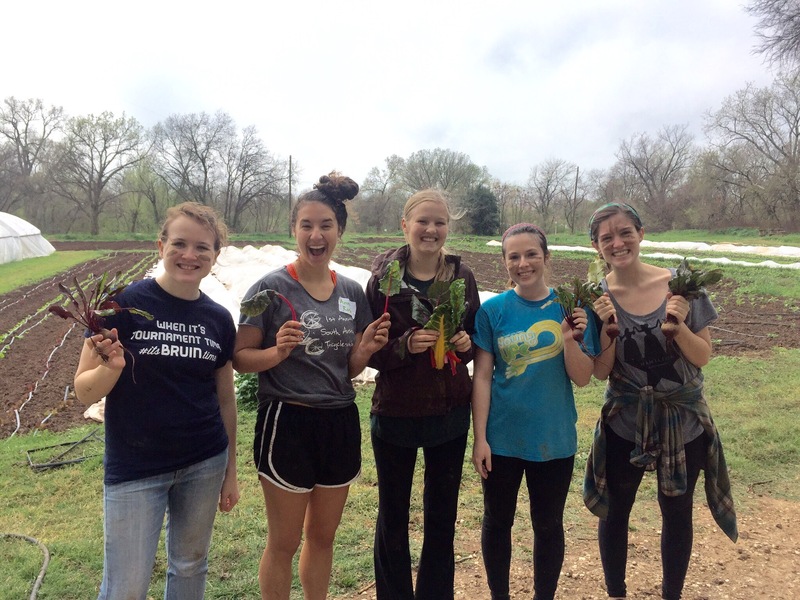 The five roommates spent one morning volunteering at Urban Roots, a youth development and local garden organization that uses food and farming to transform the lives of young people. The students covered many rows of crops before a hail storm that evening, planted two rows of green beans and 10 beds of cucumber and squash and weeded and thinned two rows of beet plants. The garden plants will be nurtured by other groups the rest of the summer and used to feed the Austin community. Another morning took the group to the Austin Zoo and Animal Sanctuary, a non-profit rescue zoo. House member and senior Haley Hicks said that although they battled rain and windy weather, the group was able to complete several needed tasks at the small zoo before taking an insider’s tour to see the animals. 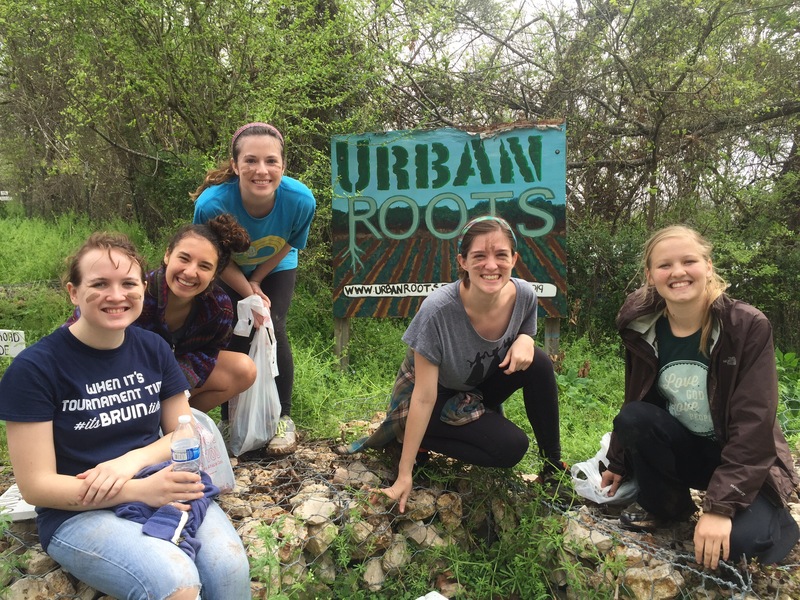 “It was such a different travel experience to see the city of Austin through the lens of a volunteer. We not only got to try some of the best tacos of my life, but we were able get to know the people who keep the city ticking and see all the work that goes into making a city a great place to live,” she said. 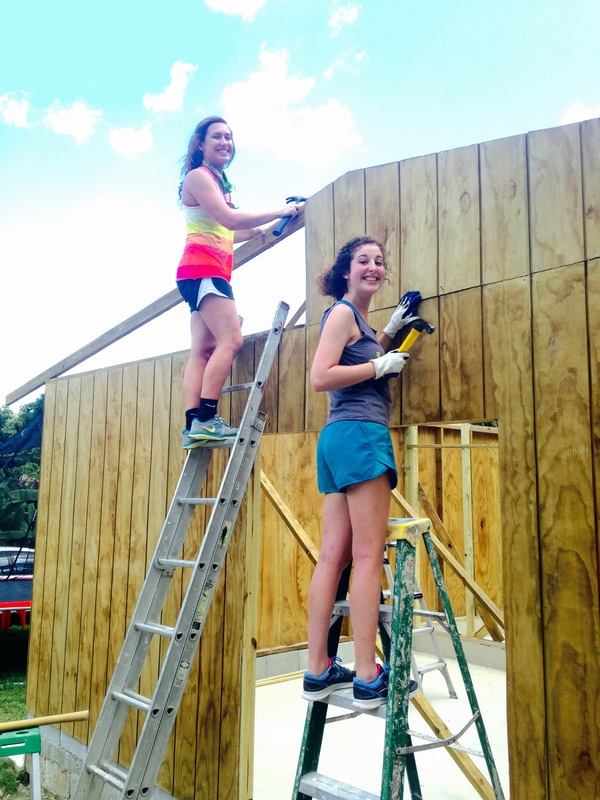 University Ministries also hosts numerous student groups to take service trips. This year the destinations included Cumberland Island, Georgia, Chicago, Illinois and Mobile, Alabama. The trips focus not only on service work, but on reflection and personal time with God. In Georgia, some students spent mornings cleaning up trails while the Belmont Wesley Fellowship traveled to the L’Arche community, a place where people with learning disabilities and special needs live together, and the Belmont students were able to sing, bond and improve community locations with the members. Students on the Chicago trip partnered with Mission Year to teach English as a second language at two locations of the Tolton Center, and afternoons were spent tutoring at an after school program. Emily Dempsey, senior songwriting major, joined a recent graduate from the songwriting program, Taylor Agan, and Adjunct Songwriting Professor James Tealy on a mission trip to Zimbabwe. The trio led two songwriting workshops for church leaders in the cities of Harare and Bulawayo and spent a day distributing school supplies to children in three rural schools outside of Bulawayo. 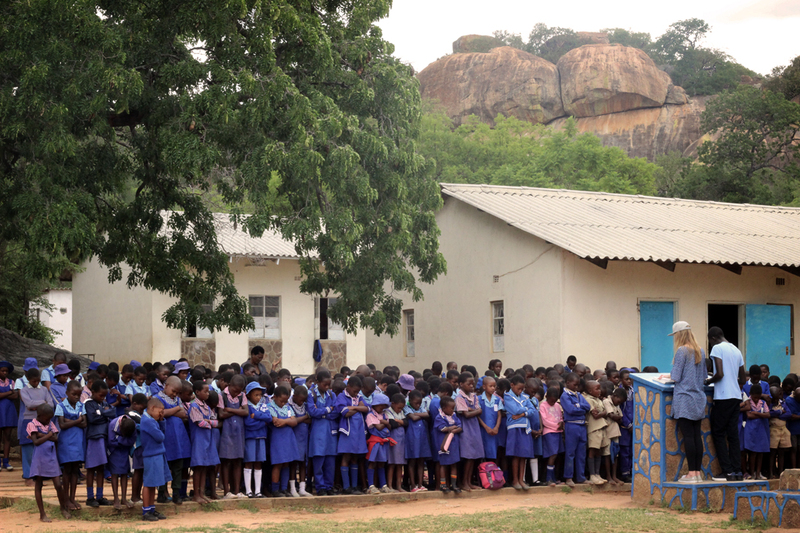 The team partnered with the OneLife OneNotebook program to give away more than 1,300 exercise notebooks to children in schools where supplies are extremely limited. The trips didn’t stop there. 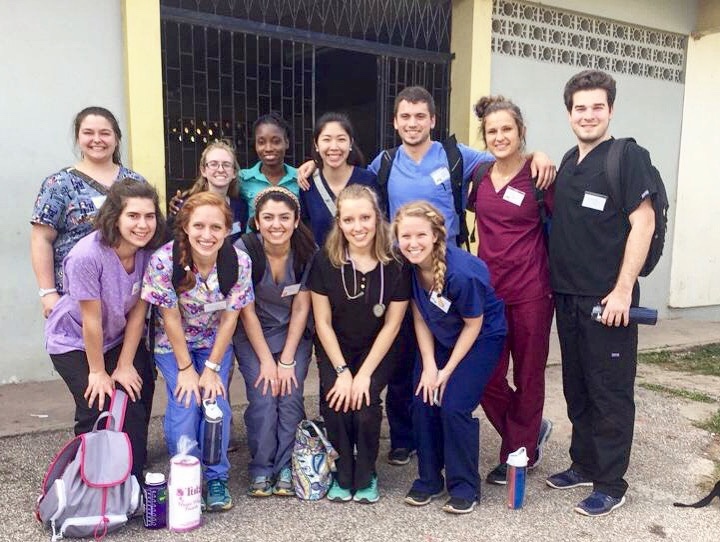 The College of Health Sciences and Nursing hosted 22 students to Guatemala, learning about medicinal practices in the area, and others traveled to Jamaica with the International Service Learning Organization who provides a free clinic in a rural community who would otherwise not have easy access to health care. The first day, the group of medical students made house visits with a local Jamaican doctor, and the next two days were spent in the clinic. The students were also able to tour the hospital to learn about the Jamaican health conditions, visit a school, watch a professional soccer game and climb a waterfall in Ocho Rios before they left. Finally, Pharmacy Adjucnt Samantha Duncan, Nursing Adjunct Shelley Robert and Nursing alumna Claire Zetak headed the planning of a week-long medical mission outreach to Guatemala. Team members represented the College of Pharmacy, School of Nursing and many other health disciplines as they partnered with local medical personnel in providing care to coffee plantation workers and community members outside Antigua, Guatemala. Nursing students worked together to assess patients’ vital signs, measure height and weight, check blood sugar, perform an eye exam and take a medical history, at which point they were seen by the doctor. Patients who could benefit from physical therapy were seen by two physical therapy students, who assessed pain, muscle strength, range of motion and offered advice on exercises to improve with their pain and mobility. Patients who needed medication were seen by the pharmacy team, who dispensed medication or provided patients with recommendations for medication they could purchase at a local pharmacy. Social work students assisted in patient assessment. 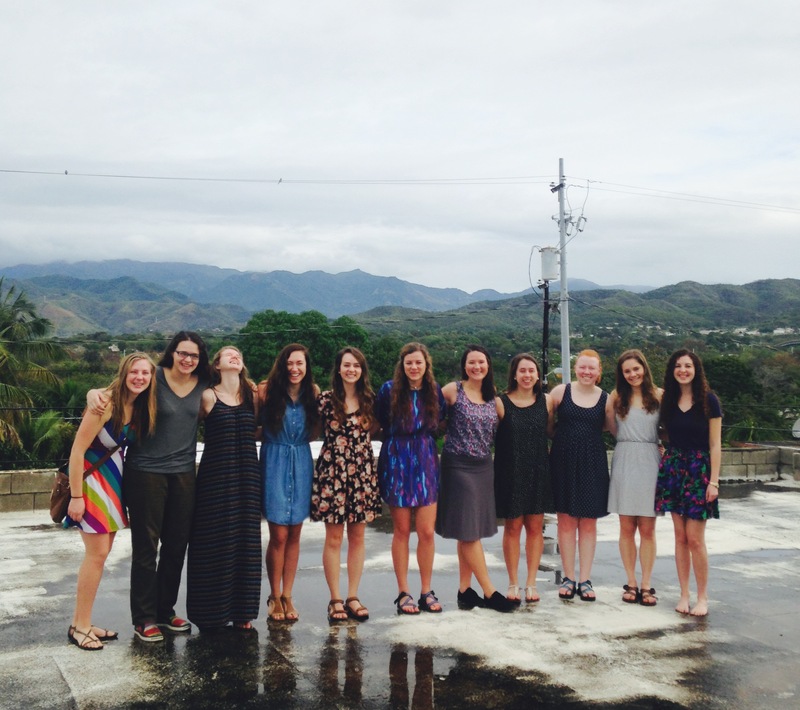 For student reflections on some of this year’s trips, click here.